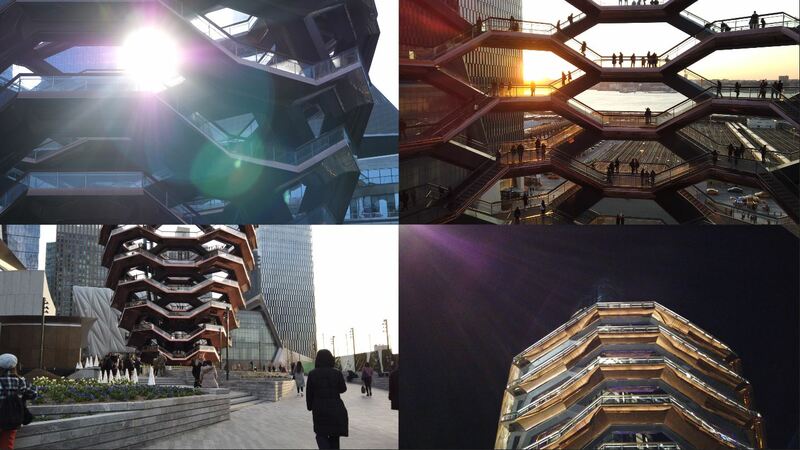 Hudson Yards’ “landmark” temporarily named “Vessel” is causing a buzz of new tourists to this beehive-shaped structure. Hudson Yards is a “new neighborhood” built on top of the train tracks next to The Highline. Online the free tickets are “fully reserved” for weeks but read on for the best way to skip the digital line and secure tickets to this unique attraction. It opened to a few controversies including its unannounced photo policy to their private artwork where they owned all photos taken of it. While asking the public for new name ideas, my favorite name suggestion has to be “Shawarma” by Eater. If you’re located in NYC meet me at Vessel Sunday April 7 at 6:30, all the details will be on my Instagram, @jenniferscamera. Vessel by the numbers: how many steps, stories and dollars? Best time to visit Vessel? How much is a ticket to Vessel? How to get tickets to climb Vessel? How much time do you have to climb Vessel? What is the purpose of Vessel? What is the view from the top of Vessel? I visited at sunrise, during the day, sunset and at night and my favorite time to visit is still sunrise when it is less crowded. Since sunrise is blocked by some of the buildings like the mall, I thought sunset might be best with more golden light glowing over the unobstructed Hudson river, but it was so crowded. The light was nice, but not worth the crowds, so I recommend visiting at sunrise or earlier to guarantee tickets. Nothing in NYC is free… except a lot of things. Everyone around the ticket booth kept asking, “how much does it cost?” I also thought tickets would have a big price tag but rejoice that this is a free attraction. They simply give out tickets to manage the number of visitors. They can accept 700 visitors at a time. When I got in line at 6pm I was given a ticket for a 7-8pm window. When I went at 9am I got the first slot of 10-11am. The earlier you go, the line will be shorter and the area will be less crowded. The website and many articles about it made it sound like it was sold out and impossible to get tickets. They give out same day tickets online where you can wait in a long digital line of often 3,000 people like when I tried, or they also give out the same tickets in person. Go to the ticket booth next to Vessel to save yourself the online hullabaloo. The ticket booth opens at 8am officially though attendants usually roll in closer to 9am. Vessel visiting hours are between 10am and 9pm and you can get a ticket any time … before they run out of tickets. Go to the ticket booth, the little building next to Vessel usually with a line in front of it. You can also request one or two tickets once you get to the attendant handing out tickets. They are for a certain time slot, but sometimes you can check in a little earlier for your time slot. I was told I could go in at 6:45pm for my 7pm window. The tickets have a one-hour time limit, but I didn’t feel rushed and it didn’t appear that they were kicking anyone out who stayed longer than an hour. I climbed to the top quickly in about 15 minutes, taking photos of sunset through the structure. In total I spent 30 minutes climbing up and down Vessel. Once at the top at the most crowded landing overlooking the sunset it felt very busy and I was ready to go down and gain back some personal space! 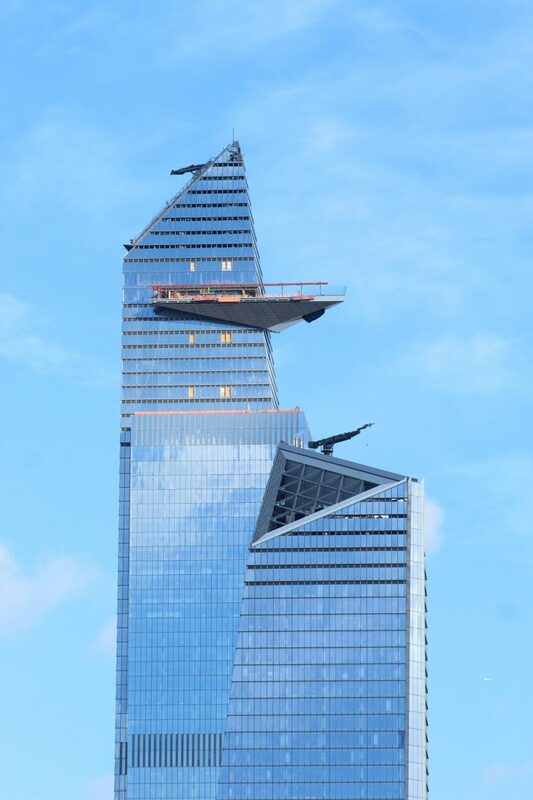 New York Times architecture critic Michael Kimmelman called Vessel’s exterior “gaudy” and criticized Hudson Yards more generally as a “gated community” that lacked real public space. 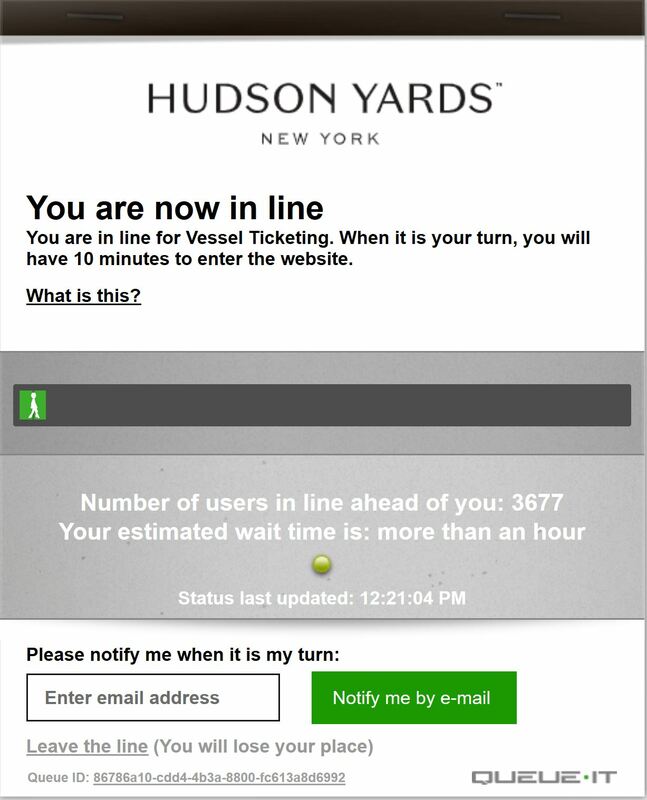 Curbed article: “requiring a ticket to enter sends a clear signal; this space doesn’t belong to you. Heatherwick stated, “We had to think of what could act as the role of a landmarker. 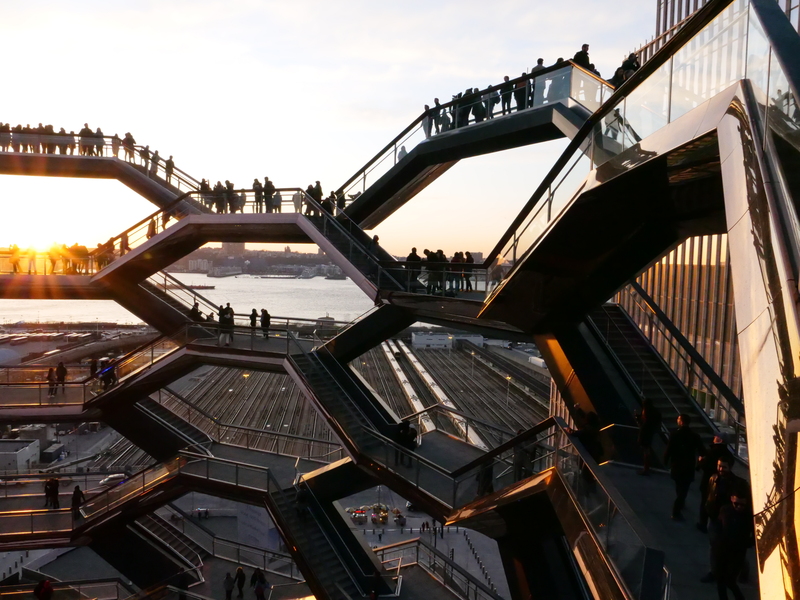 Something that could help give character and particularity to the space.” They say this $25 billion dollar Hudson Yards project wanted to give back something to the community so they built Vessel. This structure was meant as a viewpoint and a public space for climbing. Their site boasts that “this landmark will offer remarkable views” but unfortunately most of the Manhattan views are blocked by the mall and other surrounding buildings. You can just see the top of the Empire State Building at one angle and you can watch the sunset over the water and New Jersey. 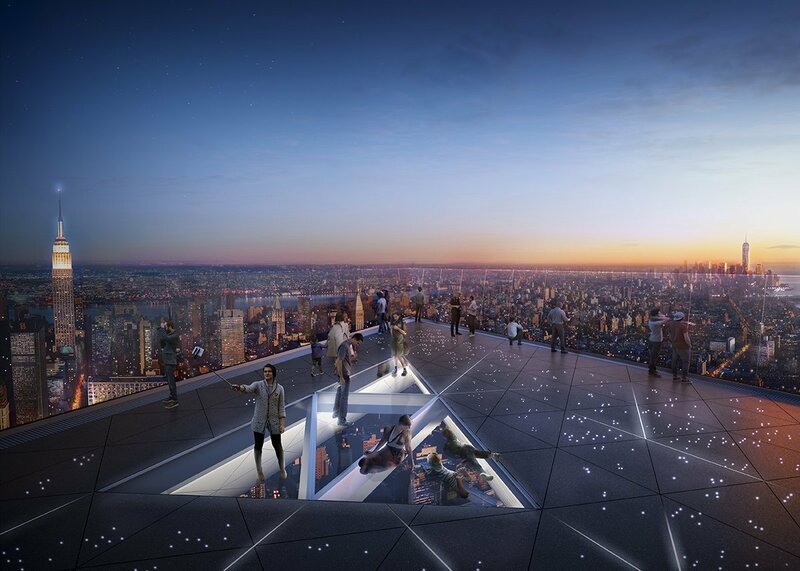 The remarkable views I think will truly be seen when the new Edge Observatory Deck opens here in Hudson Yards later in 2019. There are three great photos to take here before continuing with our New York City top things to do. 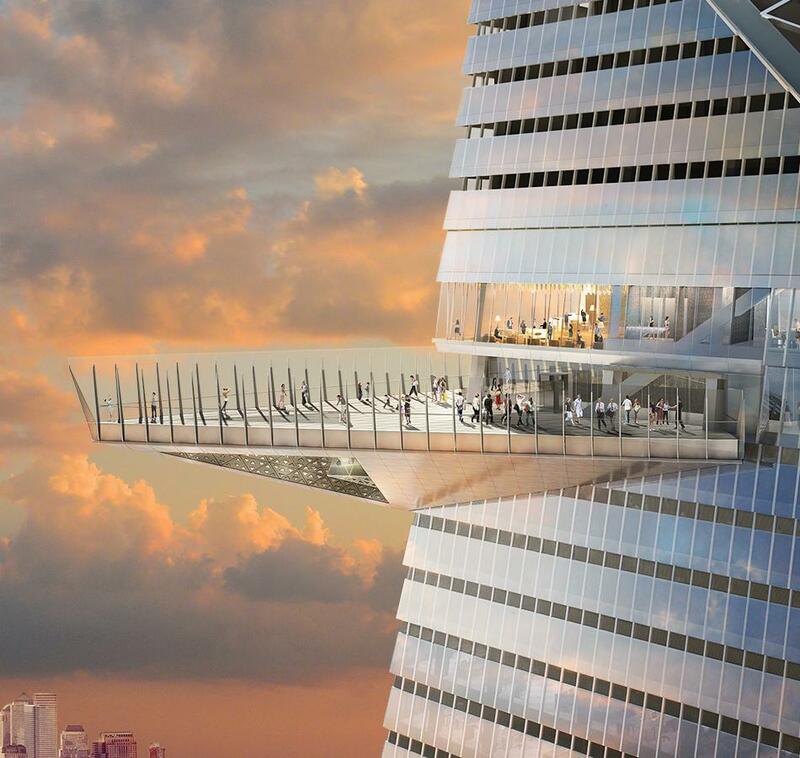 Comment your favorite part of this post and if you will visit this new NYC landmark at Hudson Yards!